Have you run out of space in your kitchen? 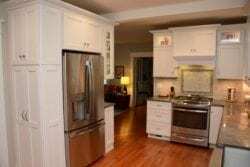 Is the layout of your kitchen not suitable for your family? Are your cabinets and countertops worn and outdated? If you answered yes to any of those questions, then you are not alone! A local family was facing the same issues with their kitchen, and it was time to make a change. 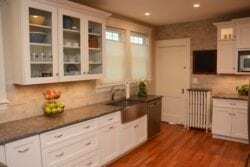 Having previously remodeled their laundry room with Cabinet Discounters, the family returned for their kitchen project because they were pleased with our work. 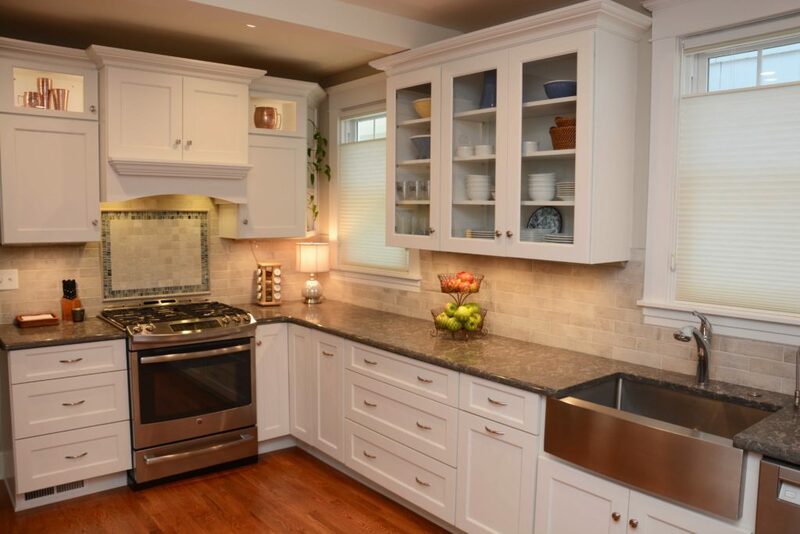 The family worked out of our Annapolis showroom with designer Meg O’Neill on this project. 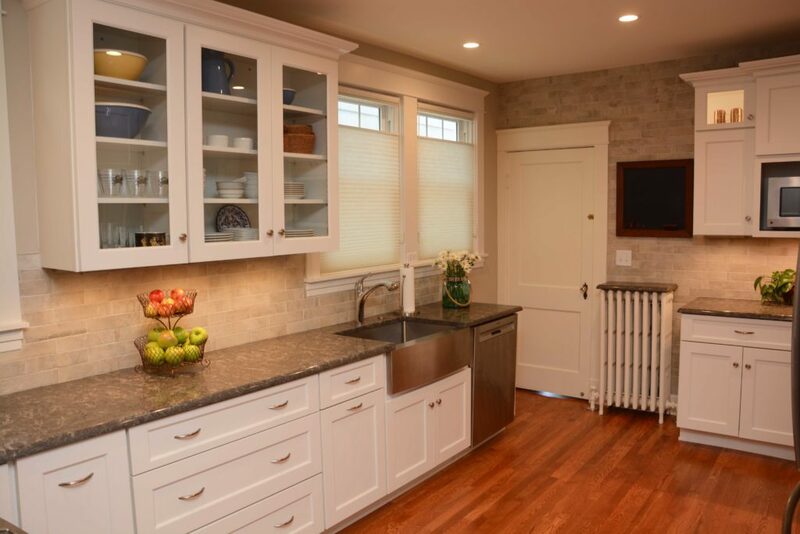 They were very happy with Meg’s knowledge and expertise throughout the remodeling process. Working with Meg, the customers selected Brighton Cabinetry for their kitchen with Bryant doors and Maple Iceberg color. The countertops are Caesarstone Coastal Gray quartz. 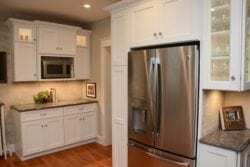 The combination of the cabinets and counters give the kitchen an attractive white and gray contrast. The countertop has also been used atop a radiator in the kitchen, continuing the white and gray theme throughout the room. If you are like these customers and are in search of a new kitchen that meets the needs of your family, then Cabinet Discounters is the place for you! You can sign up today for a showroom appointment with one of our experienced designers, or you can simply stop by one of our seven convenient Baltimore-Washington area locations and start building your dream today!